abstractcomm (11 months ago) Inappropriate? Looks like a Mitsubishi Lancer Evo of the future; very cool! SuperBoomTurbo (3 years ago) Inappropriate? All your models looks fantastic. Great stuff here! McGyver (6 years ago) Inappropriate? Thank you! A very tough looking car, very cool! Jean-Jacques (7 years ago) Inappropriate? Gustvoc (9 years ago) Inappropriate? Teri Perkins (9 years ago) Inappropriate? Great car. Lots of attention to detail. Thanks. S L F (9 years ago) Inappropriate? Whazizname (9 years ago) Inappropriate? dawnie (9 years ago) Inappropriate? claw60 (9 years ago) Inappropriate? wawadave (9 years ago) Inappropriate? Thank you very much Shukky San!! Thats What I'm Talking Bout Baby! I'll Definitely put this to good use. 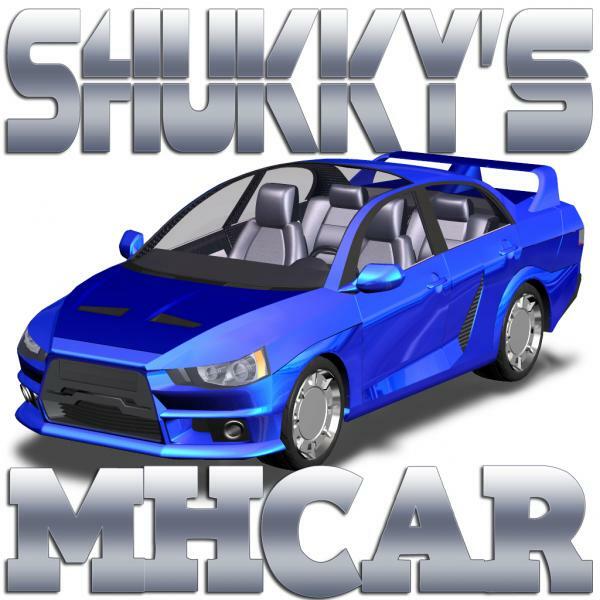 Very,Very Cool Shukky San! Left hand drive too! Thank you! !